It took me a few more glances at Google maps than normal to locate the Golden Unicorn in Chinatown. 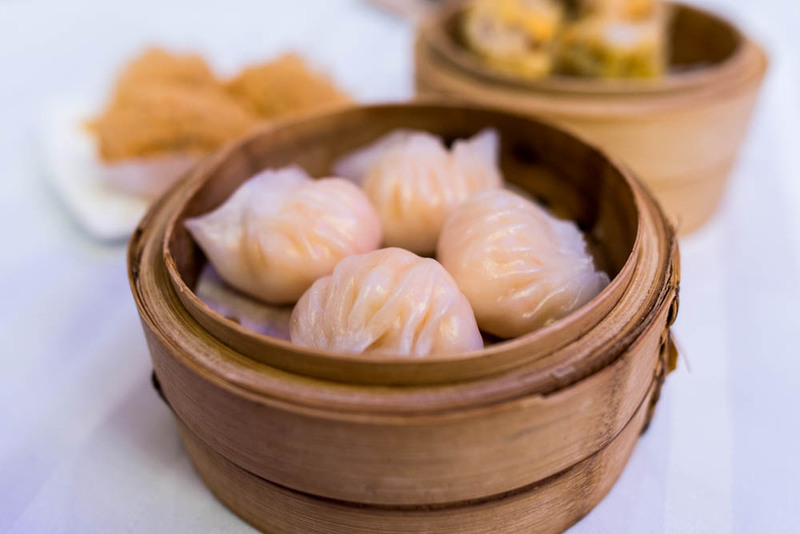 But we finally found it, this popular spot for Sunday dim sum just a few blocks south of Canal street away from the usual thoroughfare of Chinatown on the unfamiliar Catherine Street. Unfortunately what greeted us even this late on a Sunday afternoon was a throng of people waiting in a haphazard mess of a line downstairs. The hostess handed us a number and we were told to park ourselves in the lobby until she summoned us to a table upstairs in the dining hall. 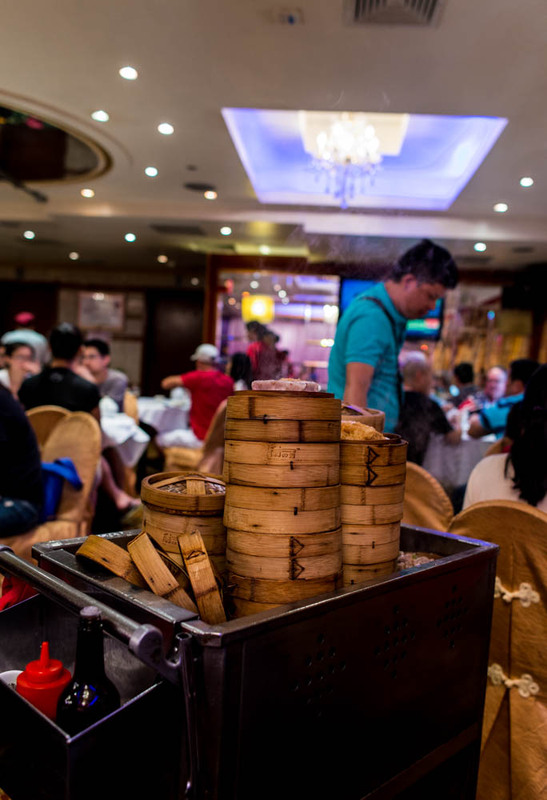 With a hankering for dim sum, KC and I waited patiently while our stomachs grumbled louder and louder. Finally, after trying our patience, our number was called and we bounded upstairs triumphantly into the busy dining room. 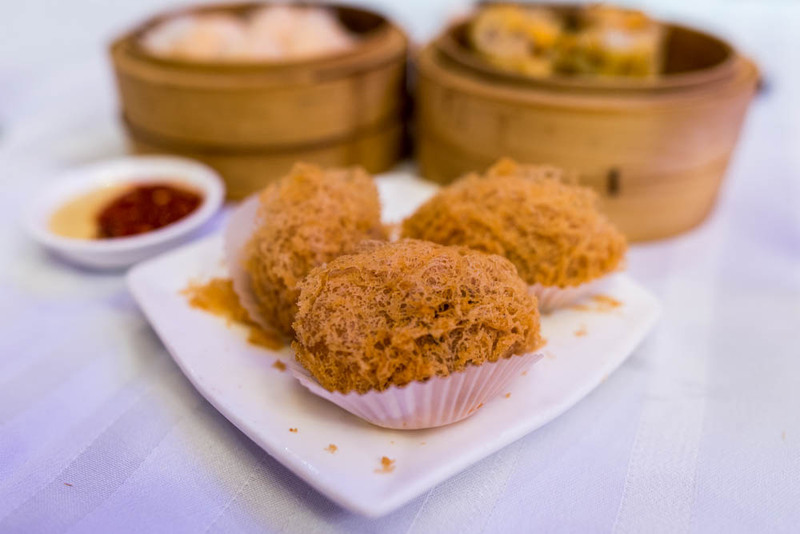 In true dim sum style, they seated the two of us at a large banquet table along with two other groups but we lucked out with prime seats right by the aisle so no cart would go by without us noticing. 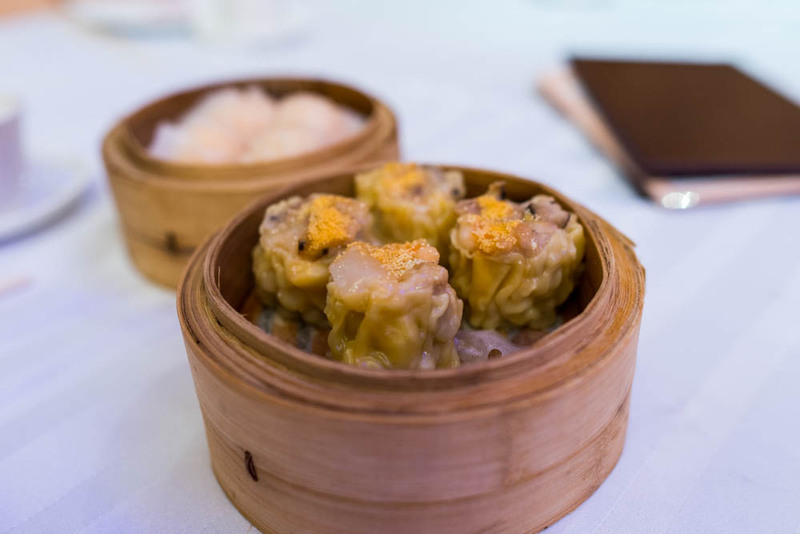 And par for the course, there was no easing into the experience and we jumped in mouth open with two plates off of the first cart that rolled by us, tiny bites of pork shumai and translucent plump shrimp dumplings. 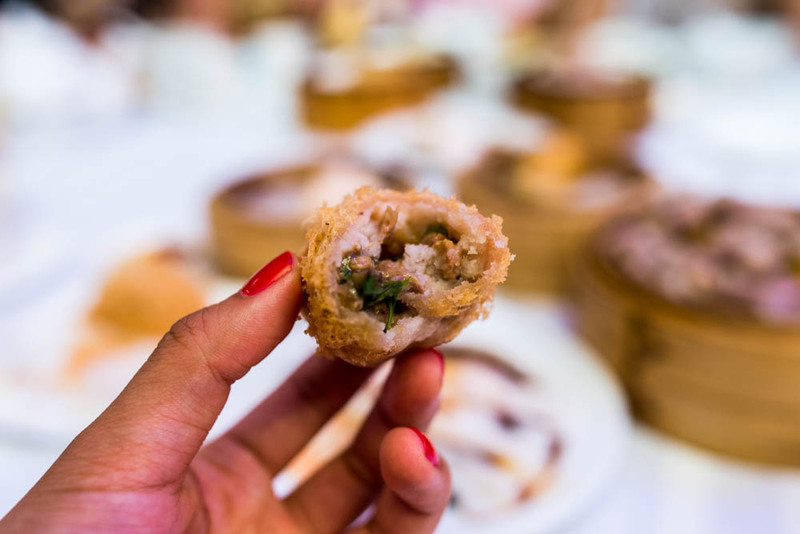 We had barely lifted our chopsticks when another cart full of fried pastries glided by us. I immediately stopped them to snag a plate of fried taro dumplings for us. Filled with delicious pork and mushrooms, the crispy exterior was wispy enough to make this a still relatively light dish. KC was particularly hankering for a plate of rice noodle roll. The one here at Golden Unicorn was a little harder to track down but worthy of the wait. 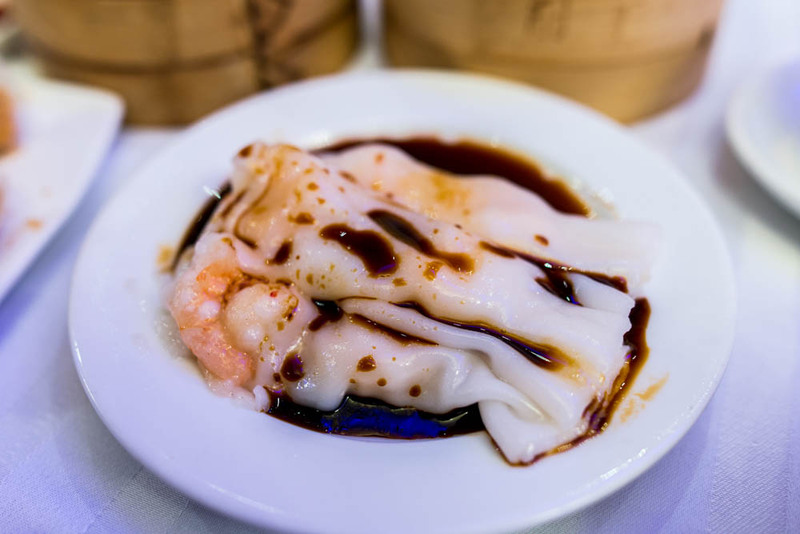 Covered in a light sweet soy sauce, the soft rice rolls were stuffed with plump shrimp and disappeared within seconds. 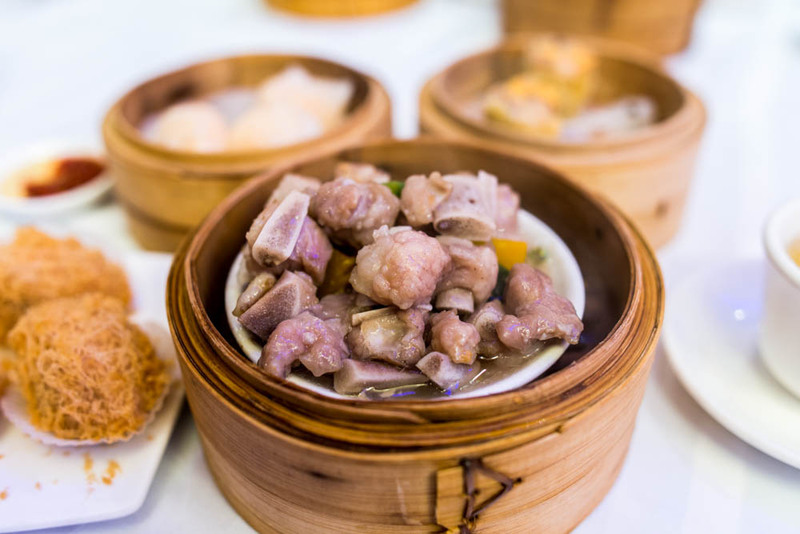 Two of my favorite dim sum dishes are chicken feet and pork spare ribs. Since there were only two of us, I had to choose one and pork spare ribs it was! A little bowl of tender flavorful pieces all for me. 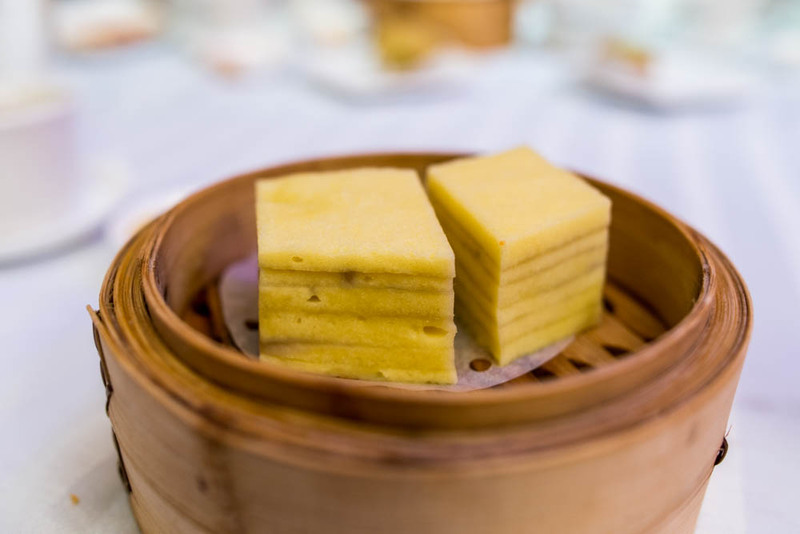 Two fluffy steamed cakes before we ended our meal with our table mates who were still working through the various carts. Hopefully they had no trouble flagging down the dwindling number of carts that made their way through the now much less crowded dining room as service started to wind down for the day. 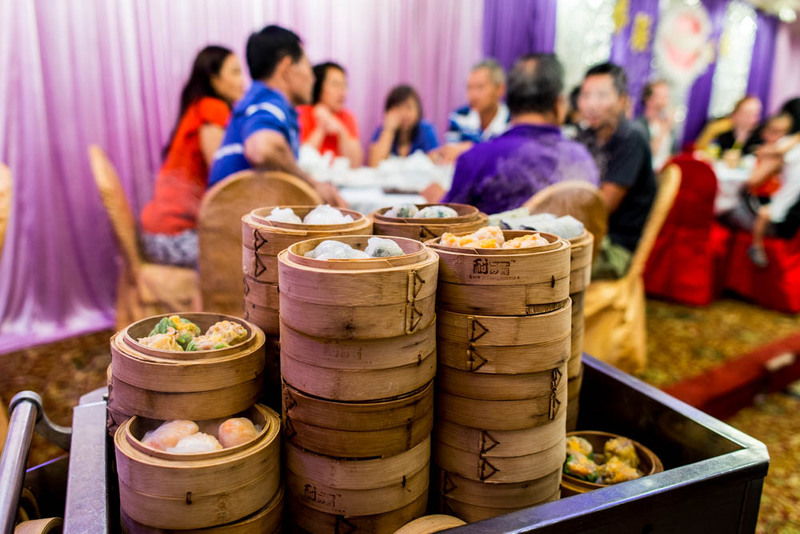 As always, a hectic yet delicious experience for weekend dim sum in the Chinatown.